I'm Steven A. Montag. My law office has served all of Nebraska since 1998. I have helped thousands of people and collected millions of dollars. Call me now for a free consultation! Provide reputable car injury attorney services as indicated by our A+ Better Business Bureau Rating. Steve was great to work with. He got a really good settlement for my daughter and me. I’ll hire Steven Montag again if I ever have another accident. Steven Montag and his team were awesome! I appreciate their help, kindness and friendliness! Also thanks so much for helping me get my cash right away! Steven Montag a true honest lawyer . I never expected my compensation due to my lack of commuincate. That did not stop Mr. Montag, a year later he still tried finding me to be able to get my compensation and claim settled. No doubt about it that he cars for his cases and does all he can. Will be recommend to anyone i know. Excellent experience. I highly recommend Mr. Montag for all your personal injury needs. Quick service, great communication, and a wonderful shoulder to lean on during a rough time. Thank you so much! The Questions and Answers below assume that you were injured in a Nebraska car crash caused by another person’s negligence. The answers are not a substitute for the informed advice of an experienced auto injury attorney. Should you get medical treatment? If you need medical treatment you should get it. How can you obtain medical treatment and pay for it? We help you make good use of all available insurance. If you don’t have health coverage, some doctors are willing to provide treatment and wait to be paid. I help reduce bills by negotiating with medical providers and insurance companies. What happens if the at-fault vehicle is uninsured or underinsured? Your injuries should be covered if you are insured. Our Omaha car accident attorney can advise you in this situation. Should you talk to an insurance adjuster? You should think carefully before talking to an adjuster. If you anticipate needing to make an injury claim, it is a good idea to consult with our Omaha car accident lawyers first. We personally provide free initial telephone consultations. What can be done about your wrecked car? If the at-fault vehicle was insured, the cost of repairs should be paid by them and a rental car should be provided. If your car was a total loss, you should be paid the fair market value of the car. If the other vehicle was not insured or you have problems getting the other vehicle’s insurance to pay, your own collision coverage could be used. Should you get a rental car? Before renting a car, you need to have a clear agreement with the insurance company about what they will pay and for how long the rental is approved. Otherwise, you could be responsible to pay unexpected bills. If you were injured in a crash that was caused by another person’s negligence you probably have a case. You can get a good idea about the strength of your case by having an Omaha auto injury attorney consider the circumstances of your crash and the nature of your injuries. What is an individual car accident report? Do you need to fill one out? Nebraska requires an individual auto accident report to be completed by each driver if there was over $1,000 of damage or if anyone was injured. The individual report must be submitted within 10 days of a car crash. When should you hire an Omaha car accident injury lawyer? If you were injured in a car crash caused by another person’s negligence and your injuries were serious enough to require medical treatment, you should consider hiring a personal injury lawyer as soon as possible. I can help you make this decision in a free initial consultation. 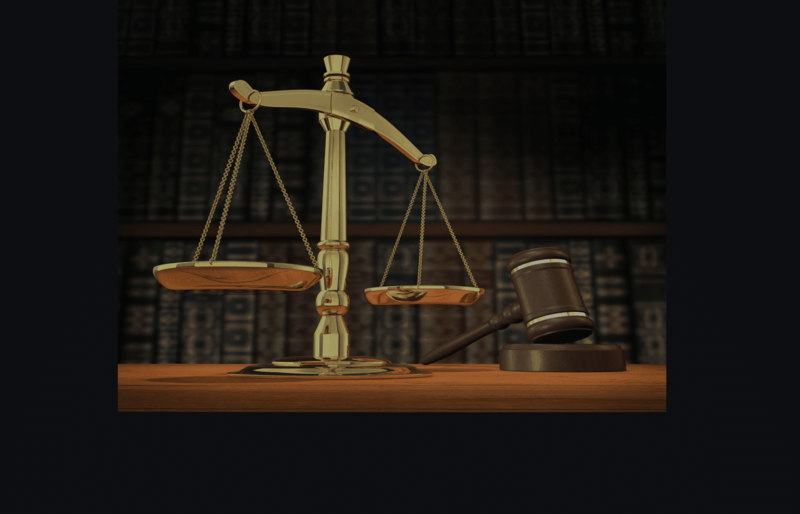 How can you pay for the services of an attorney for auto accidents? 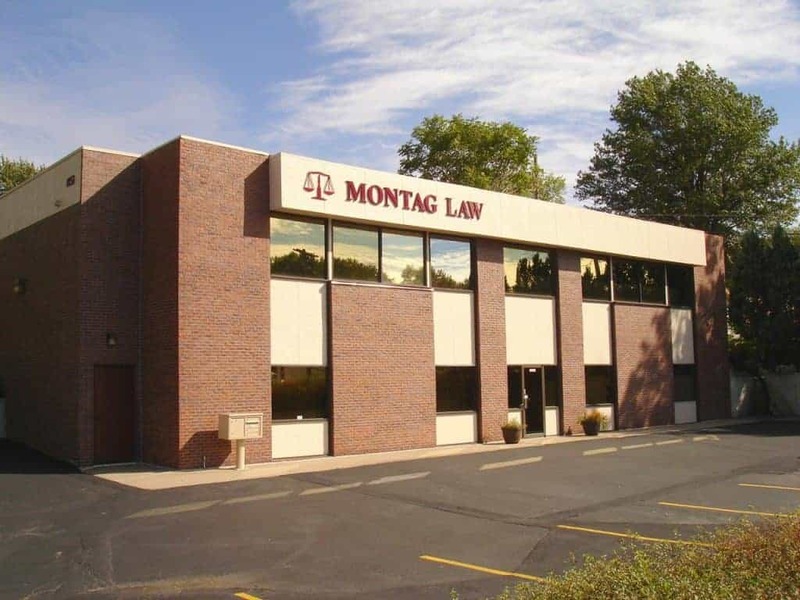 The Montag Law Office works on a contingent fee basis. There is no up-front retainer fee and we only get paid if there is a recovery. Should you try to settle your injury case right away? It can be a costly mistake to settle too quickly. It takes time to evaluate injuries and decide what medical treatment is required. If at all possible, medical treatment should be completed before accepting a settlement. Do not leave the crash scene until it is appropriate to do so. If you leave, especially when someone was injured or killed, you could face criminal charges for being a hit-and-run driver. Make sure everyone involved in the crash is okay. Call 911 if anyone needs emergency medical attention. Immediately call the police to investigate the crash and write a report. Having everyone go on record right away prevents later disagreements about what happened. Get the names, telephone numbers, drivers license numbers, license plate numbers, and basic insurance information from all drivers involved. If there are any passengers, also obtain their names, numbers, and addresses. Limit how much you talk to an at-fault driver. Once you obtain information about who the other drivers are, determine if anyone needs emergency medical attention. If so you should stop talking. Do not apologize for anything at the scene. An apology can be misconstrued as an admission of fault and can be used against you later. Ask every witness about what he or she saw. Get their names, addresses and telephone numbers. Often police reports do not include complete information about witnesses. You may need to be able to contact witnesses later. Call your own insurance company to report the crash as soon as reasonably possible. Cooperate and answer all of their questions as accurately and truthfully as possible. Failure to cooperate with your own insurance company’s investigation can cause them to deny your claim. Nebraska requires each driver to make an individual auto accident report if there are any injuries or either vehicle has more than $1,000.00 of damage. Failure to submit a report can result in drivers license suspension. As your car injury attorney, we help our clients prepare individual crash reports. If you think you require medical treatment, do not delay. Excessive delays in starting treatment can cause unnecessary medical problems and make it harder to prove the validity of your car accident injuries. Telephone calls from unfamiliar health care providers may not be legitimate. Be especially suspicious if they say your insurance company requires you to go to them or that you are pre-approved for treatment. Consider talking to a car accident injury attorney before contacting or making statements to the other driver’s insurance company. Don’t let them pressure you into saying anything you may regret later just to get them to pay for the damage to your car. 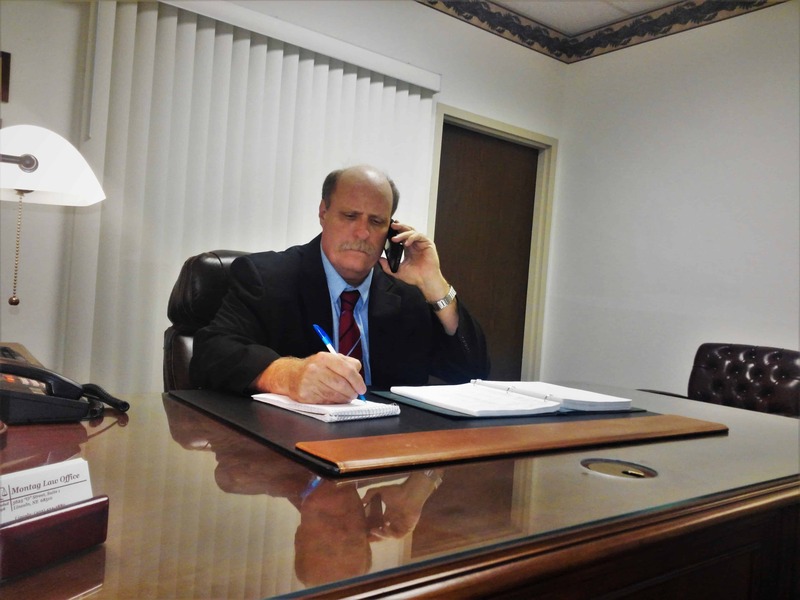 I provide free initial telephone consultations for anyone injured in a Nebraska motor vehicle accident. Keep a record of your medical treatment including a list of all doctors and dates of appointments. Also, make a list of activities you avoid or activities that are painful because of your injuries. If you need to go to court, a journal can help you remember how the crash affected your life. Opposing lawyers may try to use social media posts against you later. Even a picture of you smiling at a birthday party after the accident could be misconstrued to say that you were feeling good and weren’t badly injured. It would be best to avoid posting any pictures of yourself until the end of the claim. Do not talk to the at-fault driver after you leave the crash scene. The other driver may try to call you later. It is usually an aggressive attempt to get you to say something to hurt your case. It would be a good idea to add the other driver’s phone number to your call reject list. If possible, take pictures of the other vehicle. Also, take pictures of your own vehicle and your injuries. The cars are repaired or disposed of soon after the crash, and visible injuries heal. Good photographs document your case and help you get the money you deserve. Our Omaha lawyer for auto accidents will help you get the compensation you deserve and prevent costly mistakes. The sooner you talk to us the better. My Omaha office is about two blocks south of I-80 near 42nd and E.
Take 42nd Street to E Street and go 1/2 block east. Look for Montag Law Office on the top of the building. It is easy to see from 42nd Street. Suite 200 is on the second floor.